Now available in Shell Stations in Cebu, Shell launches its newest generation of premium performance fuels namely: Shell V-Power Nitro+ Gasoline, Shell V-Power Nitro+ Racing and Shell V-Power Nitro + Diesel. The latest premium performance fuels directly replaces the Shell V-Power fuels and Shell Super Premium at no extra cost. 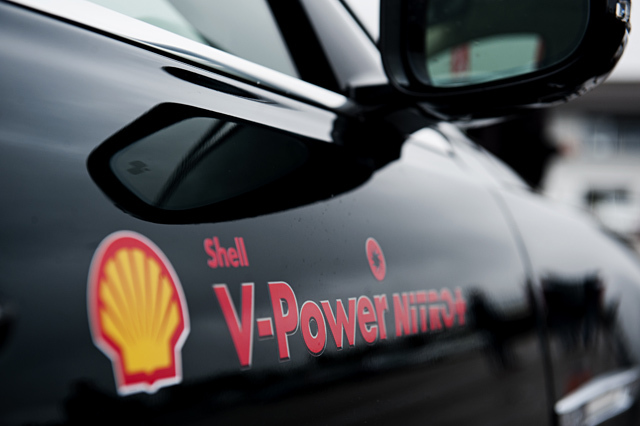 Shell has around 120 passionate fuels scientists and specialists across the globe working on fuels innovation, development and implementation to meet the evolving needs of customers and their cars, these leads to the introduction of Shell V-Power Nitro+ Fuels. Shell's ongoing technical partnership with Ferrari plays an integral part of Shell’s commitment to Fuel innovation and development. 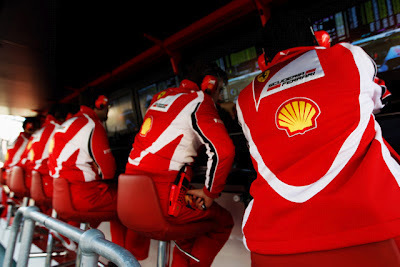 Their close-working relationship with Ferrari provides them with an environment to test new fuels in extreme conditions. "This gives us a better understanding of what will deliver improved power and performance. For example, in the Shell V-Power Nitro+ Gasoline available at the pump, we use the same friction modifiers as in the race fuels we develop for Ferrari Formula One cars.” says Shell Fuels Scientist Mae Ascan. 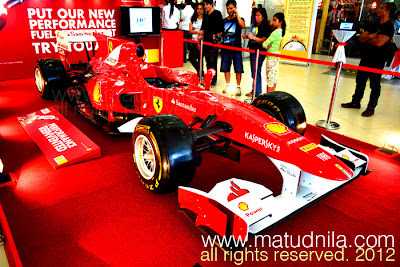 Shell V-Power Nitro+ is not to be confused with Shell FuelSave fuels which are formulated with Shell instantaneous fuel economy formula developed to help customers save fuel. Shell V-Power Nitro+ is highly formulated and designed to help customers’ cars perform to their potential, whatever type of vehicle they drive. Shell FuelSave Unleaded comes as the replacement to Shell’s Super Unleaded, while Shell FuelSave Diesel takes over Shell Diesoline Ultra. 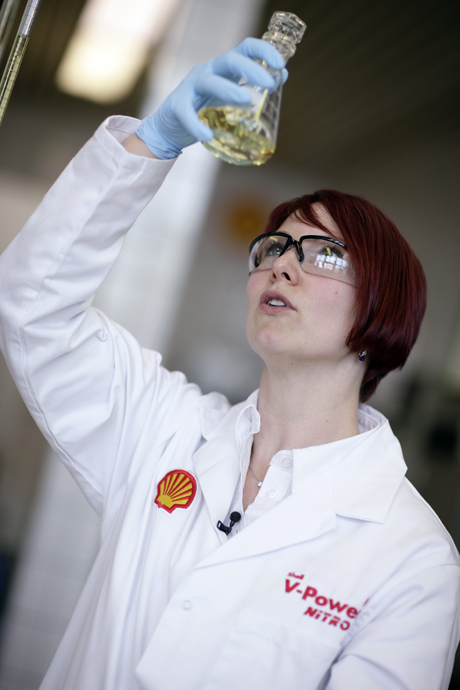 The innovation behind the Shell FuelSave lies in the Shell Efficiency Improver. Shell FuelSave Unleaded is designed to improve fuel efficiency from the very first tank full. It helps to reduce energy losses by providing lubrication where engine oils are less effective, such as the upper piston ring. It is also designed to keep inlet valves clean, prevent deposits from forming, and help improve engine efficiency. Shell FuelSave Diesel’s formula, on the other hand, is designed to ignite and burn more effectively than StandardDiesel, helping to produce more efficient combustion in engines. It is also designed to help protect against the build-up of deposits that can reduce engine efficiency. Shell previously launched Target One Million, a campaign which aims to help one million cost-conscious motorists across the world learn how to save fuel. Target One Million represents the latest step in Shell’s ongoing efforts to provide smarter, more efficient products like Shell FuelSave Unleaded and Shell FuelSave Diesel, and promote smarter energy use amongst the world’s motorists. Previous initiatives to educate customers on saving fuel include crowning Europe and Asia’s Smartest FuelSavers in 2010 and setting a Guinness World Record for the ‘Largest Fuel Efficiency Lesson’ on Global Shell FuelSave Day in October 2011. Meanwhile, Shell V-Power Nitro+ Dance Supremacy Visayas Elimination Leg Winners are West Crew of West Visayas University and Jean Baptiste Dance Company of University of Saint La Salle Bacolod. 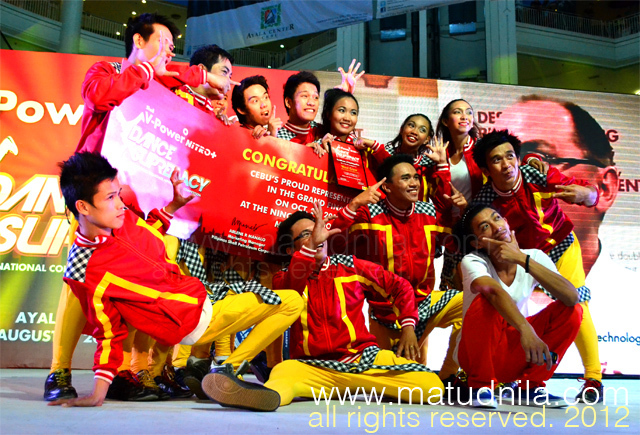 Shell V-Power Nitro+ Dance Supremacy Visayas Elimination Leg was held at Ayala Center Cebu joined by Collegio San Agustin Bacolod, Eastern Samar State University, University of the Visayas and University of San Jose. Shell V-Power Nitro+ Dance Supremacy is a national competitive hip-hop dance event presented by Shell V-Power Nitro+ showcasing the power and performance of Collegiate dance groups. 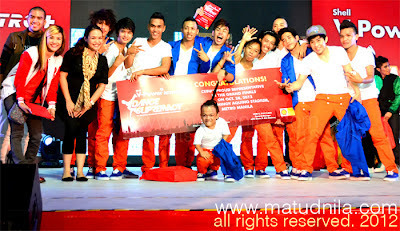 Winners of the Visayas Elimination Leg will proudly represent for Visayas in the Grand Finals at the Ninoy Aquino Stadium on October 2012 where Championship title and Php 350,000 worth of cash and prizes is at stake. 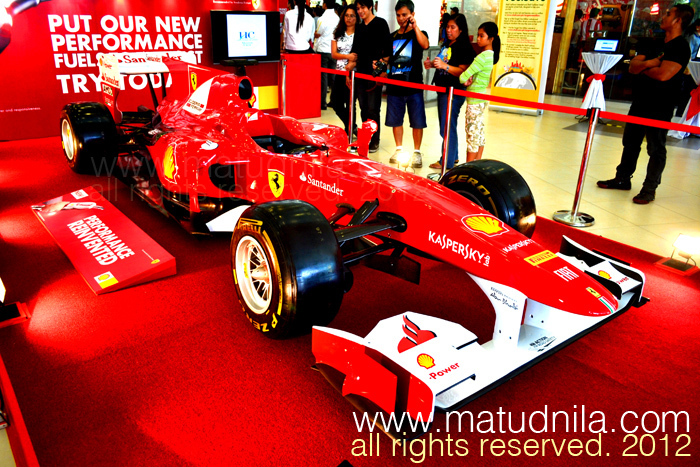 0 comments: on "Shell V-Power Nitro+ Gasoline, Shell FuelSave and Dance Supremacy"